Everything has been done in this gorgeous completely remodeled 4 Bed / 2 Bath on top two floors. The property was rehabbed including roofs, driveway, siding, water lines, electrical and more. High quality remodel with low maintenance design from composite decking to fiber cement siding. The unit offers plenty of space and feels like a home instead of a condo. 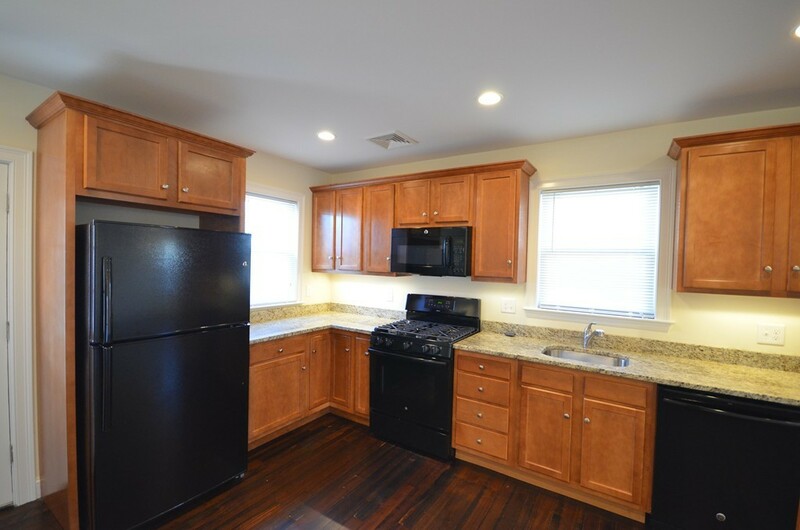 Eat in kitchen with spacious maple cabinetry and granite counters. Open floor plan with living room, dining room & kitchen. Hardwood floors on the main living level. Two bedrooms on the main floor & two bedrooms above with laundry and bonus room. Great closet space with plenty of storage. Private front & rear decks. High efficiency central gas heat & a/c with Navien hot water. New low-e Harvey windows & LED light fixtures. Double insulated floors between units. Garage parking space and off street tandem parking spaces. Common yard area for cooking out! Fabulous commuter location on the bus route, minutes to train.